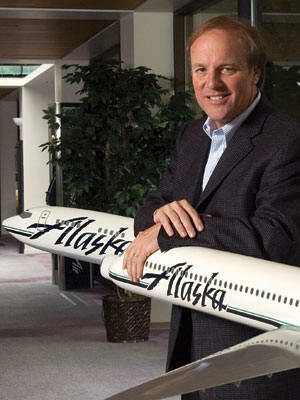 May 20, 2010 - This year, Alaska Air Group blocked shareholders from voting on whether the company should disclose its policies related to maintenance standards and oversight procedures, arguing to the Securities and Exchange Commission that it is not a significant public policy issue and therefore not an appropriate issue for investors to consider. At Tuesday Alaska Air Group shareholder meeting, Teamster represented Horizon Air mechanics and pilots demanded the company disclose the standards used for outsourced aircraft maintenance and how the company enforces those standards. The Transportation Department’s Inspector General has warned that mistakes can be made by untrained and ill-equipped personnel at aircraft repair shops in the U.S. and abroad. It also has found there to be “security vulnerabilities” including susceptibility to sabotage at airport and off-airport repair stations. In fact, according to a Feb. 2 USA Today article, Congress has barred the Federal Aviation Administration from certifying any new foreign repair station until the Transportation Security Administration (TSA) issues a rule to improve security. Still, Alaska Air Group outsources all of its Alaska Airline’s heavy maintenance and now seeks to outsource all of the heavy checks for its regional carrier, Horizon Air. “I don’t want the plane I fly to be maintained by the lowest bidder who is not subject to the same regulatory standards as our own mechanics,” said Capt. Trevor Bulger, a 10-year Horizon Air pilot. “Aircraft maintenance is not the place to cut corners. It’s time that Alaska Air Group adopt and disclose a single, enforceable standard for all aircraft maintenance operations to protect the security of our country, the safety of our passengers, and the best interests of our company,” Bourne said.